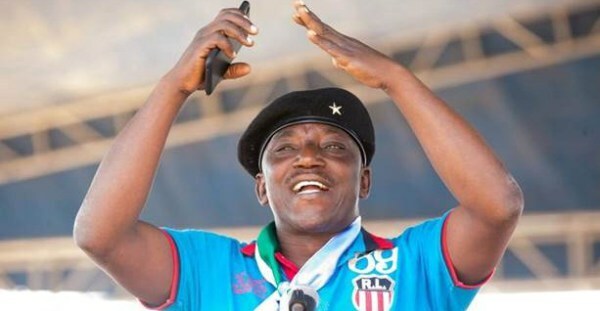 The Minister of Sports and Youth Development, Barrister Solomon Dalung has said that never again will any Nigerian politician win an election in the country by throwing money at the electorate. Dalung stated this in a video published by PREMIUM TIMES Hausa on Wednesday while speaking with a local tea maker (Mai Shayi) in Jere Town, on his way to the commissioning by President Muhammadu Buhari of the Olam Feed Mill on Tuesday in Kaduna. “Anybody who thinks he will win an election in Nigeria with his money now should better do a rethink. Gone are those days,” Dalung, who spoke in Hausa, said in a remark that appeared targeted at Nigeria’s former vice president, Atiku Abubakar. Atiku, a billionaire member of the ruling All Progressives Congress, APC, had accused the present administration of abandoning him despite utilizing his support to come to power. He is believed to have been one of the major financiers of the APC but lost the party’s presidential primaries to Buhari in the 2015 elections. The former vice president is believed to be preparing for the 2019 elections and is seen by many as one of the few who could challenge Buhari in the elections. Dalung also had a soft criticism for his colleague, the Minister of Women Affairs, Aisha Alhassan, who has made it clear she would support Atiku in 2019 even if President Buhari seeks re-election. contributed campaign monies for him. “Buhari is for the poor so if you come out to say you will not support him, so what? The poor people will decide for Buhari. The beret cap-loving minister, who appeared comfortable in the video sipping and enjoying his buttered bread with the people around, said Buhari’s government is on the right track now and is working towards fulfilling its promises. According to the minister, who stayed for over 20 minutes with the locals, said, “If we talk, they will say we are doing so because we are working with him. Even if we are not working with him we will always tell people the truth. “If Buhari had gotten to power 10 years ago, I swear to you many countries will have been copying from us in terms of development. Only God knows best. Had it been it wasn’t Buhari that is the president of Nigeria now, the country would have been in serious crisis. Things are getting back to normal. “On the state of our economy, we are getting over it now. This road, Abuja to Kano will soon get full rehabilitation. The minister also spoke on the issue of farming. “We shall have what we will eat. Anybody who cannot eat what we produce should go to where he can get what he wants and eat. If you do not want to eat Nigerian rice you should go back to Thailand. “For us, we will eat what we have here, we will drink Nigerian water, our tailors will sew our clothes and we will wear them.